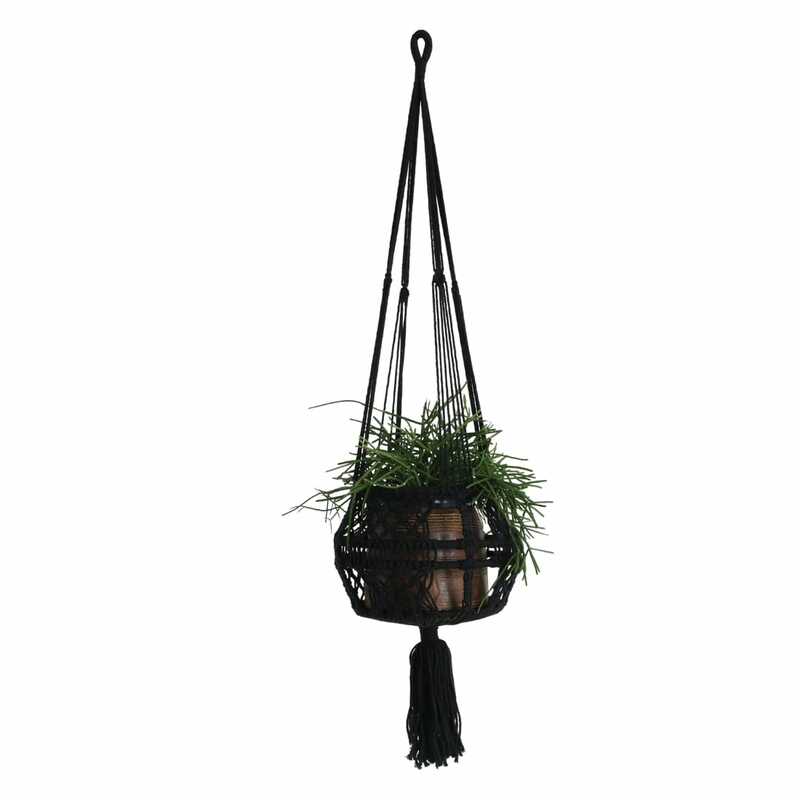 A lovely cotton macrame plant hanger with a built in basket by One World. Easy to pop in and display your favourite house plant. Choose from natural or black.